This was a fun time-lapse to shoot. I really love the way the roller coaster and ferris wheel turned out against the orange glow of the setting sun. Orange glow from the rising sun on the white marble of the Taj Mahal. 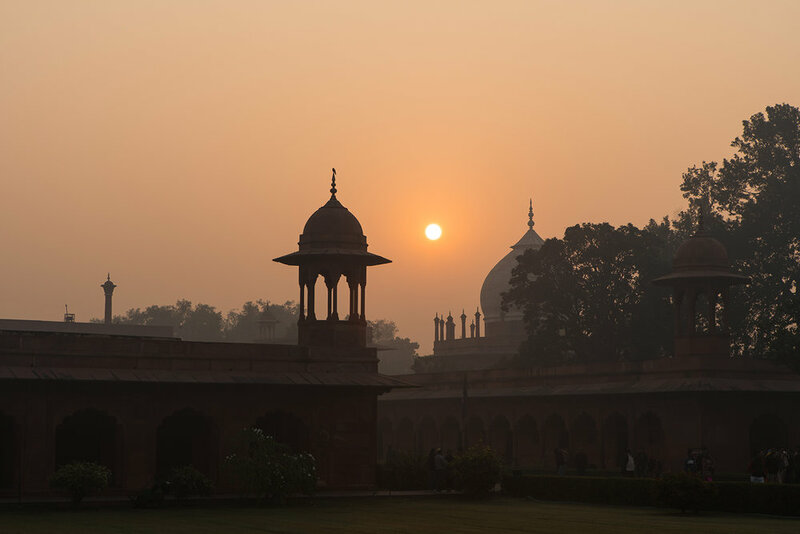 As the sun continued to rise in the air it started to cast a beautiful orange hue on the white marble of the Taj Mahal. The fog had started to burn off but was still lingering in the air. The Taj Mahal through the surrounding trees. Part of the amazingness of the Taj Mahal is how different angles reveal the craftsmanship and the intricacy of the design. The famous shot of the Taj Mahal reflecting in one of the many pools. This is one of the many famous shot from the Taj Mahal. The sun glowing on the white marble. The reflection in the pool. The fog adding a bit of mystery. It was so beautiful I didn’t even mind the thousands of people standing right in the middle of my composition.